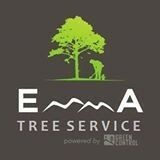 Emma Tree Service of San Diego, California! Since 1985, the professionals at Emma Landcare Tree Service have been caring for trees in all of Southern California’s diverse regions. Headquartered in San Diego since 2005, our team of dedicated managers, arborists and supervisors have the training and experience needed to tackle any size or type of tree service project. Our team of seasoned tree care workers and our fleet of modern equipment are among the best in San Diego, and can be counted on to provide the most efficient and cost-effective solution to your tree service needs. We are passionate about our company and the service that we provide, and we understand that our growth and success is grounded in our ability to provide exceptional service at reasonable prices. As such, we choose to remain competitively priced in the markets we serve while providing our clients with level of service and professionalism that brings repeat business and referrals year after year. "Arbor Task Tree Service is a San Diego area tree care company dedicated to serving our local com- munities with good quality Arboricultural solutions." 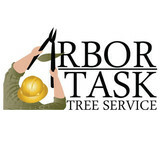 Arbor Task Tree Service has been servicing the Greater part of the San Diego County for 15 years. At Arbor Task Tree Service we strive to consistently exceed each customer’s expectations while setting the industry standards for quality craftsmanship and professionalism. We pride ourselves with being committed to providing excellent service by knowledgeable informed professionals at a competitive price. Costa del sol landscape construction & pavers was established in 2000 by Gustavo Garcia. Costa Del Sol Landscape is a leader in design and Pavers. We are proud of our reputation and provide quality workmanship and creative landscape for all of our home owners. Our company loves to work hard to make sure our customer are satisfied. If you think you are ready to have your outdoor dream come true give us a call or email us at cdspavers90@gmail.com or call Gustavo at (619)279-6478. 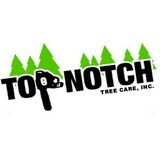 Top Notch Tree Care, Inc.
Top Notch Tree Care, Inc. is a family owned and operated business located in San Diego, California. We are licensed, insured, and specialize in all aspects of tree cutting and removal service. With our extensive experience, we are able to tackle any and all your tree care needs. Our professionals promise to be prompt and provide a meticulous tree cutting service to every customer. A & G Tree Company, Inc. is a family owned plant nursery in the San Pasqual Valley area. We have been in business for 18 years. We have a wide variety of container plants and trees, small and large at homeowner friendly prices. Coastal Tree Care has been serving sunny San Diego since 2006. We have a team of fully insured, licensed, certified arborists which means that our crew members are experts and that your tree care is in good hands! We take pride in the quality of our work and give back by recycling all of our mulch and firewood. Trust Coastal Tree Care to look after your trees and start by requesting a free estimate today! All Access Tree Care provides San Diego County with the best value in professional tree trimming and tree care services. We have more than 20 years of experience trimming, pruning, lacing, and shaping trees for residential and commercial clients. Our comprehensive tree care services also include crown raising and reduction, tree removal, and stump grinding. We’ve served thousands of satisfied customers and earned an impressive reputation with outstanding reviews on Yelp, Angie’s List, and HomeAdvisor. We offer superior-quality tree services at rates that are lower than most state-licensed tree care companies in San Diego County. Whether your tree is overgrown, impeding walkways or views, or becoming a fire or safety hazard, All Access Tree Care has a solution for you. Our highly skilled tree trimmers have the knowledge and experience to care for all types of trees, including palm, olive, ficus, eucalyptus, acacia, oak, desert willow, gum, pine, cedar, sycamore, and more. Call us today at (619) 212-3559 to schedule a free on-site estimate for tree trimming in San Diego, Chula Vista, Point Loma, La Jolla, Carmel Valley, La Mesa, or nearby city. Tree Services in San Diego's North County JRC Tree Services offers a variety of tree services to help our residential and commercial customers maintain beautiful, healthy trees. The company was started by Cadaff Rodarte in 2012 and he has been working in this industry for about 12 years. JRC Tree services consists of a small professional team that maintains lasting relationships with their customers. What sets them apart from other tree service teams is their high level of professionalism and their attention to the needs of their clients. Our professional tree services include tree removal, stump removal, tree and shrub pruning, tree crown reduction, brush chipping, debris removal, landscaping and lot clearing. Estates Tree Service provides guaranteed service to residential and commercial customers. You can always depend on us for timely, courteous and knowledgeable service. We offer free estimates and 24-hour emergency service. All phases of tree maintenance and removal. Chipping and Hauling and fire wood sales. OC Tree Service provides top quality service by top quality professionals you can trust. Servicing Orange County for over 19 years. OC Tree Service services all South OC and Orange County areas. We also work on hauling, tree pruning, trimming, removal, bracing, chipping, crowns, stump grinding & removal, land cleaning, cabling, mulching. Being a 3rd Generation tree trimmer with over 19 years experience. We provide great service since you deal directly with the owner and not a salesman or corporate company that just sees you as a number. Your Oceanside, CA tree service professional or arborist might work in conjunction with another landscape professional to create a seamless landscape design. Here are some related professionals and vendors to complement the work of tree services: Landscape Contractors, Landscape Architects & Landscape Designers, Garden & Landscape Supplies. Find tree service professionals on Houzz. Look in the Professionals section under Oceanside, CA tree services. You can look through portfolios and read reviews to see what past tree care clients have to say.